Greater California German Shepherd Rescue is an all-volunteer California-based animal-rescue group serving the areas surrounding Sacramento, Modesto, Merced, Lake Tahoe, the North San Francisco Bay and parts of the East SF Bay areas, including area codes 209, 530, 707, and 916 and, to a lesser extent, area codes 510 and 925. We are a small group of dedicated volunteers who rescue homeless German Shepherd Dogs from life-threatening situations such as shelters and find them permanent homes with qualified owners. We work cooperatively with animal shelters, professional trainers, and other rescue groups toward our common goals of saving dogs’ lives and educating the public about responsible pet ownership. 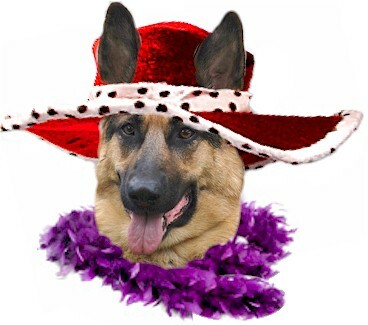 Greater California German Shepherd Rescue began its operations in December 2007 and is a nonprofit public charity under IRS code 501(c)(3). Our adoption fees are insufficient to pay the cost of rescuing the dogs, and we rely on your tax-deductible donations to pay for vet care, dog food, and other necessities. We invite you to help us save these superb dogs! Please contact us or come visit us at one of our Adoption Days. Current Volunteers ONLY can now renew their annual dues through PayPal with the addition of $1 to cover the PayPal costs. Most credit cards accepted with Paypal and no Paypal account is required. If you are not signed up as a volunteer and wish to become one, please visit us at one of our Adoption Days and sign up! Payments from non-volunteers through this button will only be considered a donation without a signed Volunteer Agreement on file.